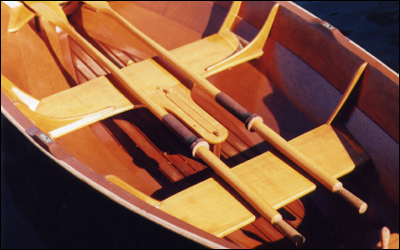 She is a strong lightweight rowing skiff loosely based on a 'Ness Yole', which has strong links to Scandinavian designs. 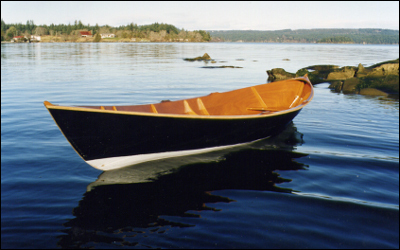 She is flat bottomed for easy beaching and has proven to be an excellent rower. She has a capacity of 4 adults. 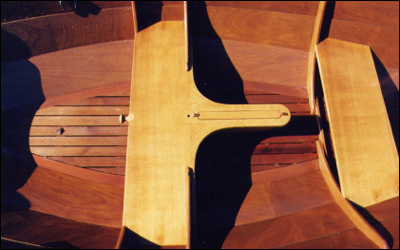 Glued lapstrake ply, bottom and a first strake for abraision resistance.